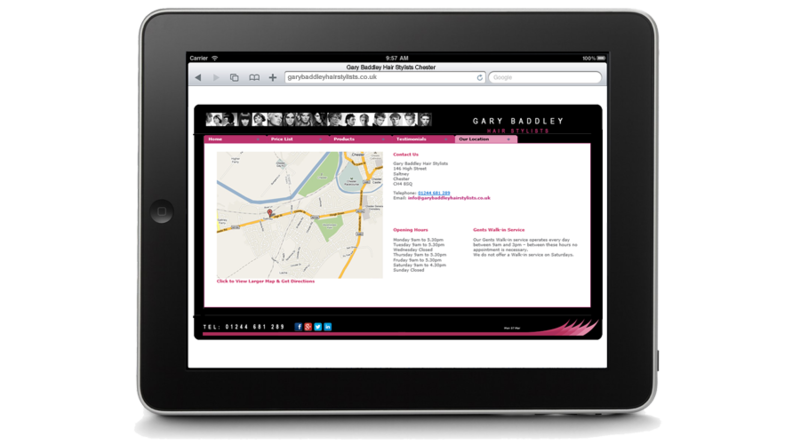 Established in 2003, Gary Baddley Hair Stylists are a friendly salon situated on the border of North Wales and Chester. They offer a full range of services from contemporary through to more traditional hair styling in their fully air conditioned salon. Low cost website design & online marketing solutions for small businesses. Although InForm develop websites for Global Brands, we offer the same professional service to small businesses requiring just a simple, low cost website. Whether you need a simple brochure site to give your business an online presence, or you have more advanced requirements such as online sales or appointment scheduling, we have a solution to fit. 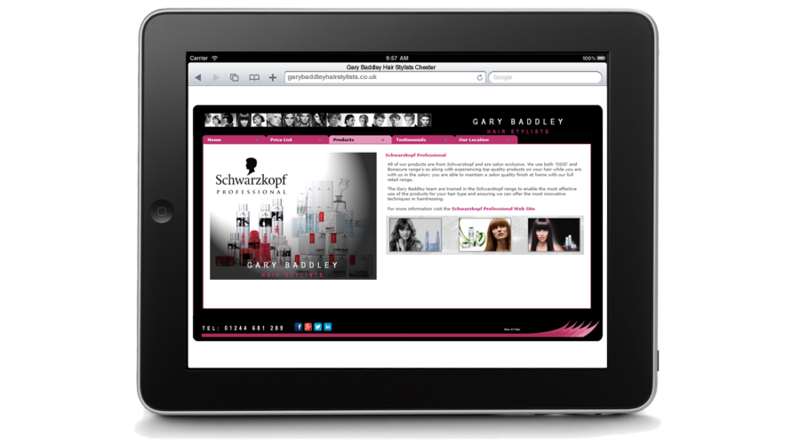 Gary Baddley Hair Stylists is a good example of a small local business website costing just a few hundred pounds. 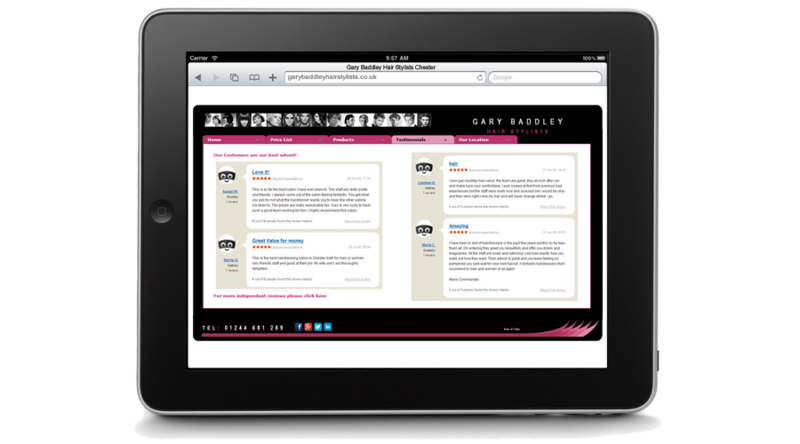 The site implementation included Social Media Marketing, Branding (new logo and corporate colour scheme), and organic Search Engine Optimisation (SEO). If you're not sure what your site should look like, or you don't know what information or functionality you should include, we're here to help. Just get in touch for your free initial consultation.